"I have devoted my existence to provide them a better life. I have given land to the peasants. I have imposed our industrialists to share their profit with workers. I have developed an excellent health program and established social security. I did everything to better the standard of living of my people. I cannot order soldiers and policemen to shoot people." "I am told today that I should have applied martial law more forcefully. This would have cost my country less dear than the bloody anarchy now established there. But a sovereign cannot save his throne by spilling blood of his fellow--countrymen. A dictator can do it because he acts in the name of an ideology which he believes he must make triumphant, no matter what the price. A sovereign is not a dictator. There is between him and his people an alliance which he cannot break. A dictator has nothing to pass on and power belongs to him alone. A sovereign receives his crown from the people..."
Who remembers, that is, the shameful stampede of Western journalists and intellectuals to the cause of the Islamic revolution? 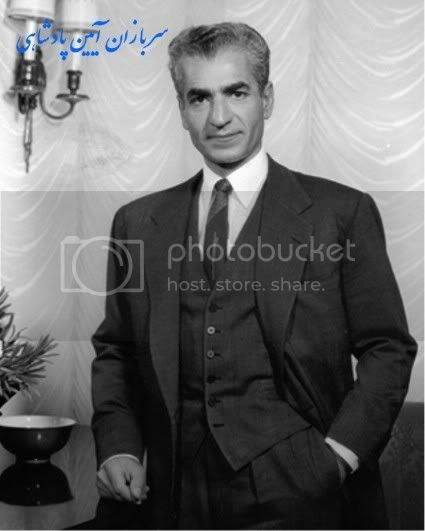 Who remembers the thousands of Iranian students in Western universities [on Pahlavi burseries] enthusiastically absorbing the fashionable Marxist nonsense purveyed to them by armchair radicals, so as one day to lead the campaign of riot and mendacity which preceded the Shah's downfall? Who remembers the behaviour of those students who held as hostage the envoys of the very same power which had provided their 'education'? And who remembers the occasional truth that our journalists enabled us to glimpse, concerning the Shah's real achievements: his successes in combating the illiteracy, backwardness and powerlessness of his country, his enlightened economic policy, the reforms which might have saved his people from the tyranny of evil mullahs, had he been given the chance to accomplish them? Who remembers the freedom and security in which journalists could roam Iran, gathering the gossip that would fuel their fanciful stories of a reign of terror? True, the Shah was an autocrat. But autocracy and tyranny are not the same. An autocrat may preside, as the Shah sought to preside, over a representative parliament, over an independent judiciary, even over a free press and an autonomous university. The Shah, like Kemal Ataturk, whose vision he shared, regarded his autocracy as the means to the creation and protection of such institutions. Why did no one among the Western political scientists trouble to point this out, or to rehearse the theory which tells us to esteem not just the democratic process, but also the representative and limiting institutions which may still flourish in its absence? Why did no one enjoin us to compare the political system of Iran with that of Iraq or Syria? Why did our political scientists rush to embrace the Iranian revolution, despite the evidence that revolution under these circumstances must be the prelude to massive social disorder and a regime of terror? Why did the Western intelligentsia go on repeating the myth that the Shah was to blame for this revolution, when both Khomeini and the Marxists had been planning it for 30 years and had found, despite their many attempts to put it into operation, only spasmodic popular support? The Shah made the fatal mistake of supposing that the makers of Western opinion would love him for creating conditions which guaranteed their freedom. On the contrary, they hated him. The Shah had reckoned without the great death wish which haunts our civilisation and which causes its vociferous members to propagate any falsehood, however absurd, provided only that it damages our chances of survival. 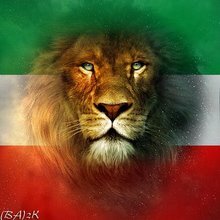 For a while, of course, those vociferous elements will remain silent on the embarrassing topic of Iran, believing that the collapse of Iranian institutions, the establishment of religious terror, the Soviet expansion into Afghanistan and the end of stability in the region are all due to some other cause than the Islamic revolution. Those who lent their support to this tragedy simply turned their back on it and went elsewhere, to prepare a similar outcome for the people of Turkey, Nicaragua, El Salvador, Chile, South Africa -- or wherever else our vital interests may be damaged. Of course, it is difficult now for a Western correspondent to enter Iran, and if he did so it would not be for fun. He could not, like the ghouls who send their despatches from Beirut, adopt a public posture of the front-line hero. He would have to witness, quietly and in terror of his life, things which beggar description: the spontaneous 'justice' of the revolutionary guards, the appalling scenes of violence, torture and demonic frenzy, the public humiliation of women, the daily sacrifice of lives too young to be conscious of the meaning for which they are condemned to destruction. 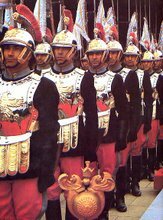 He would also have to confront the truth which has been staring him in the face for years, and which he could still recognise had the habit of confessing his errors been preserved: the truth that limited monarchy is the right form of government for Iran, which can be saved only by the restoration of the Shah's legitimate successor. But such a result would be in the interests not only of the Iranian people, but also of the West. Hence few Western journalists are likely to entertain it. "We appreciate friendship but are not affected in the slightest way by what is said about us by biased people. By the grace of God, with or without outsiders, we shall reap the benefit of our own effort. We will regain our past prestige." It is quite natural that now when imperialism is leaving this region, those areas which historically belonged to us should come back to us. I can assure you that we intend to play a positive role in the stability of the region so that the liberty and independence of all countries is protected. We will certainly respect their rights. By the grace of God, we have a sufficiently large country and are not looking for more, but we intend to defend our historical rights." "...Iran's military force will be one of the most powerful and effective powers in this region...our aim is to implement a policy that would safe-guard stability in this region and prevent any aggressive designs...anyone who has aggressive designs in this region should know what kind of force he would have to deal with." Shah of Iran's post-Persepolis press conference, Tehran October 18, 1971. Do you have insiders who keep you in the loop on the regime's thinking? I have lines of contact. Access to information has been very restricted by the regime, but we can affirm the discontent goes well beyond Tehran and the major cities. They didn't have enough manpower to cope with the demonstrations surrounding Ashura [in December]. They had to shuttle security forces from one town to another. But isn't it commonly assumed that the countryside is more pro-regime? The regime has completely disregarded its own kind. The crackdown during Ashura, one of the holiest days in Shia Islam, was an unprecedented offense to people's deepest beliefs. So they cannot appeal to their own religious base. Even conservatives realize that by now. This sounds like we're no longer talking about reform. The regime is not reformable. We tried it for 20 years. The central issue is to do away with the theocracy. A secular government is a prerequisite to democracy. It's in the best interest of the clerical establishment, too: the sanctity of religion has been most damaged by religious governance. The regime has been presenting everyone secular as anti-religion. The violence has been committed in the name of religion. Will the regime go quietly when its leaders know their heads will be on the block? Key elements within law enforcement or the military should consider themselves part of the transition. I look at South Africa as the model, a campaign based on amnesty and national reconciliation. Many elements are stuck in the regime and want out. Do you see a role for yourself in a new secular government? My preoccupation is not running for office. We are trying to liberate our country first. Then I am ready to serve my compatriots in whatever capacity. If they want me to play a more important role, so be it. In the lead-up to the 1979 Islamic Revolution, thousands of protesters were killed in the streets by your father's regime. Is history repeating itself? The extent of victims was definitely much more limited than what you indicated. My father voluntarily left the country to avoid bloodshed. He ordered the Army not to engage in skirmishes with the population. The transition happened rather peacefully. The difference now is the regime is calling on all possible coercive forces including civilian guns-for-hire. They are trying to hang on more violently as we go along. But despite the crackdown, you must admire the degree of discipline for people not to retaliate with violence. That's amazing. What's the next move for the opposition? People were saying the dust will settle. It hasn't. Perhaps we'll see major strikes or other civil disobedience. But the effectiveness of [the opposition] leadership may be so curtailed that we have to look outside. If you look at the velvet revolutions, a lot depends on solidarity from the international community. Your father's regime was very friendly with the U.S. Do you feel the U.S. should play a greater role here? The State Department canceled funding of a research center documenting human-rights abuses in Iran. This sort of thing does make a difference. People were chanting, "Obama, either you are with them or with us." They demand more than just a statement of principle. 22 Bahman (Iranian calendar) or 11 February (1979) is the date the terrorist Islamo-Marxists alliance took over government control in Iran and in the following months an Islamic Republic was established. As this is the date the Iranian Government fell and the savage Islamists began their rule of summary executions and terror leads this day to be viewed as a day of mourning for Iranians across the world. Numerous anti-regime demonstrations took place across the world on 11 February. In Iran there was an unprecedented security presence around "Shahyad Square" which is were the Islamic Republic holds its annual "22 Bahman rally" - despite the mass-organisation of the regime they were not able to BUS IN, BRIBE, FORCE and INTIMIDATE more than 50,000-100,000 people from ACROSS the country to participate in their ludicruos rally (footage on state tv was a mixture of photoshopping, select photo-angles to enlarge the crowd size, and footage from previous years!). In the sidestreets of Tehran anti-regime protests took place however where met with brutal force by the Islamic Republic's security forces who had stationed forces across the capital - two people are reported to have been killed and 100's have been arrested. Anti-regime protests also took place in several other cities in Iran such as Esfehan, Shiraz, Tabriz, Mashad, and Laar. Fellow blogger Potkin Azarmehr has more on the 22 Bahman rallies in Iran. Here are several clips from anti-regime demonstrations held at Islamist occupied Iranian embassies across the world. Labels: berlin, Demonstrations, Germany, Iran, Iranian, london, stockholm, sweden, U.K. This clip was taken on 30 January 2010 (Yazd, Iran) during celebrations for the ancient Iranian mid-winter festival of "sadeh" in which bonfires are lit symbolizing the defeat of darkness and cold and is also held in anticipation of the Iranian New Year in March ("sadeh" mean "hundreth" in persian and refers to 100 days remaining until the Iranian New Year). In the clip you can hear the crowd singing nationalistic solidarity songs and the Iranian national anthem which is frowned upon by the terrorist occupational Islamic Republic as is celebrating any pre-Islamic Iranian cultural festivals.